Triangular, snow white blossoms with a fuzzy splash of lavender in the center. Each 1-2 inch wide, 3-petaled flower only lasts for one day, but the plants have lots of buds, extending the bloom time up to eight weeks. The flowers are self-cleaning, so deadheading is not necessary. This cultivar has a more compact growth habit and foliage that stays attractive even in drier conditions. 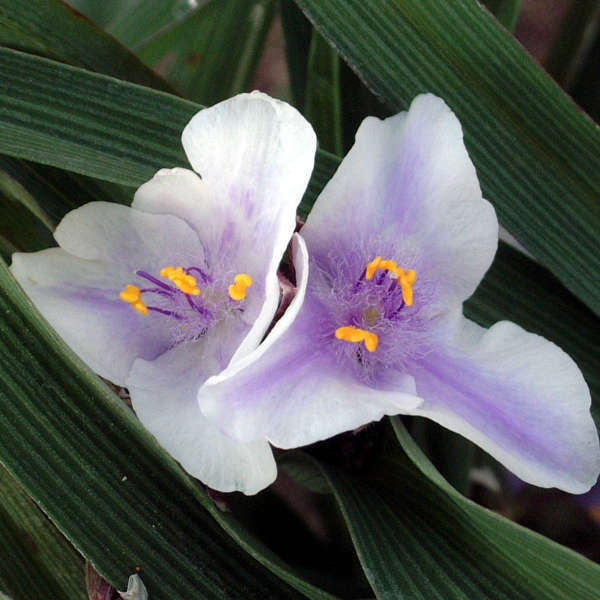 Tradescantia is adaptable to many types of soil as long as it is moist and well-drained. It will grow in any amount of sunlight, from full sun to full shade. In full sun, plants must be kept moist to prevent scorching. 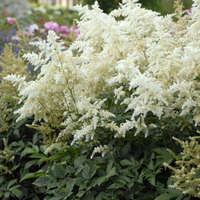 Plants will have nicer foliage, though perhaps fewer flowers, in partial to full shade. After flowering declines, cut plants all the way back. This will encourage new growth and a second round of bloom. This clump-forming perennial is easy to divide in either the spring or in early fall. Seedlings may sprout around the parent plant, but they are easily lifted and moved. 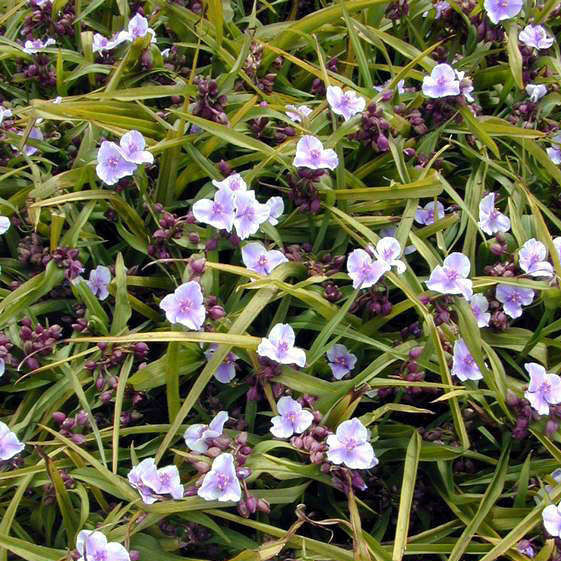 Tradscantia is very attractive when planted in a naturalized area or by a pond or stream.